Teaching is a physically and emotionally demanding career, but Cunningham's practical advice and memorable anecdotes will help teachers prepare for and enjoy their work--even on the most difficult days. And administrators can use this accessible guide to support new professionals and avoid early burnout. 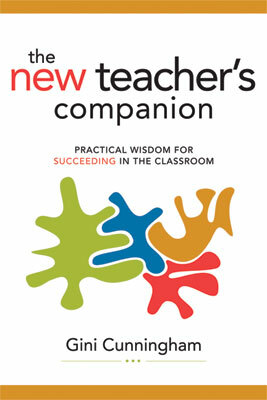 The New Teacher's Companion is a valuable resource for any teacher who wants the classroom to be a rich and rewarding place for teachers and students alike. GINI CUNNINGHAM After 28 years in the classroom, I jumped at the opportunity to extend my knowledge and skills by becoming a regional coordinator in professional development. My years with students, kindergarten through college, plus the additional time spent in observation, collaboration, and teaching model lessons with hundreds of teachers and thousands of students have provided me with the background and firsthand information to enable me to share my excitement for learning.